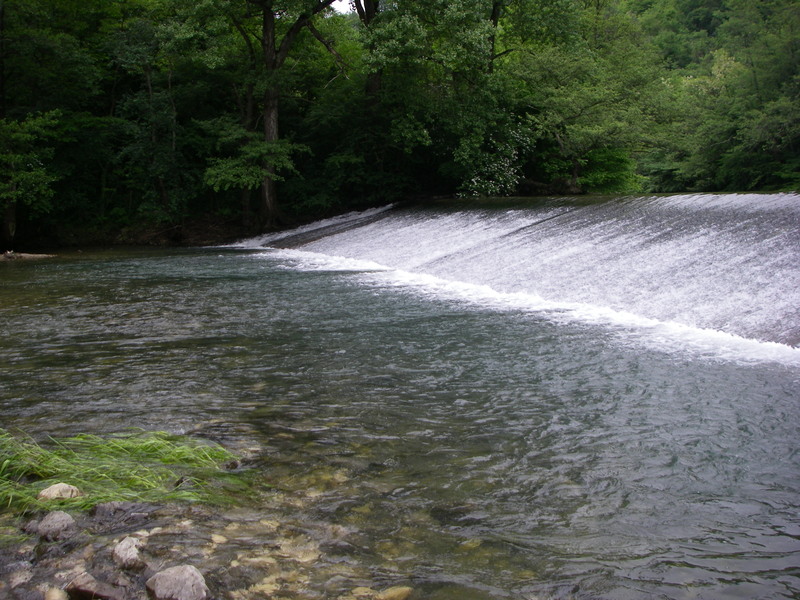 This river flows in Vipava valley, which is situated in western part of Slovenia. 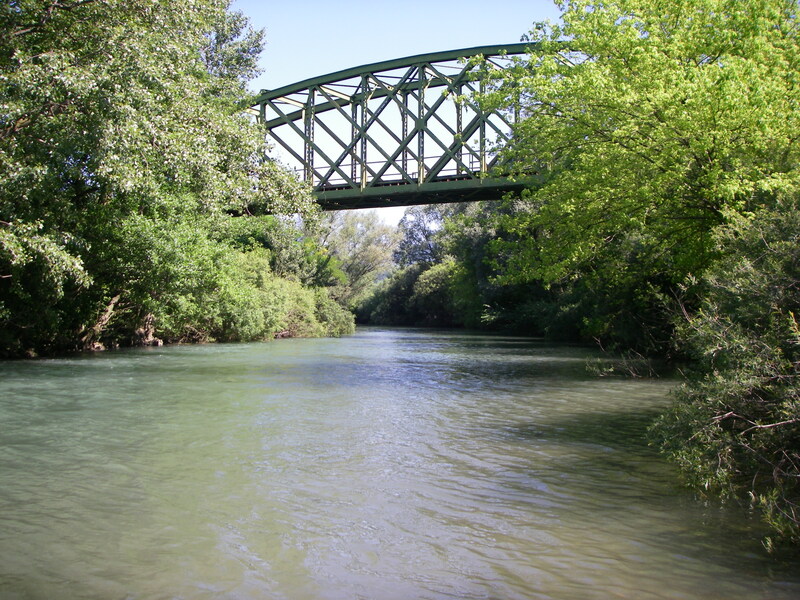 It´s a karstic river and it´s 44 kilometers long. It could be divided in two parts: the upper part is faster and shallower and appropriate for salmonids. The lower part is deeper and slower and is ideal for cyprinids. Now is turn to write something about the upper part. The most celebrate salmonid which lives in this river is the indigenous marble trout. 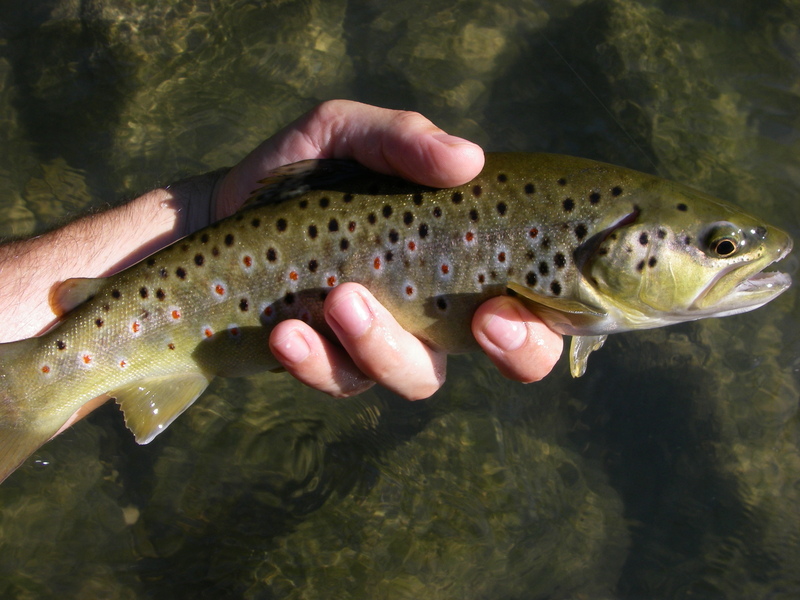 Other species that lives in this part are: brown trout, grayling, rainbow trout and hybrids (marble X brown). Despite the river size you can find marbles up to 15 kilograms (found one dead last year), browns up to 5 and graylings bigger than 50 centimeters. 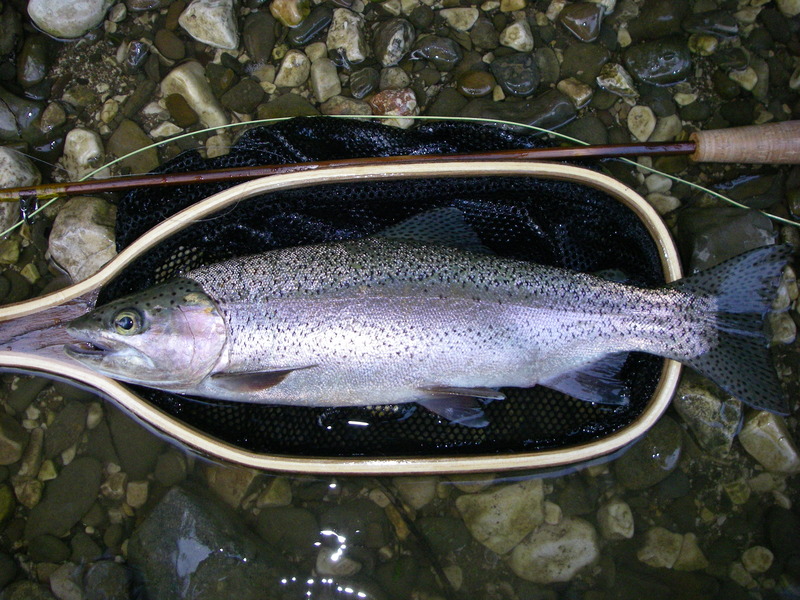 The rainbow trout was introduced in the last seventies and now represent a threat for habitat and food. In this part you can find also some cyprinids such as chub, common nase, common barbel and some smaller species. 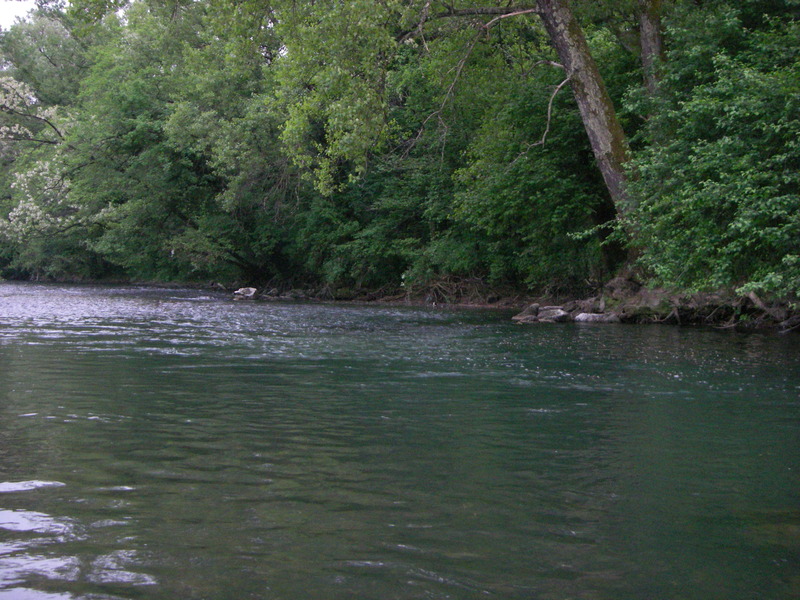 Because of the majority salmonid population the principal fishing technique is fly fishing, but also spinning (in some areas) is allowed. 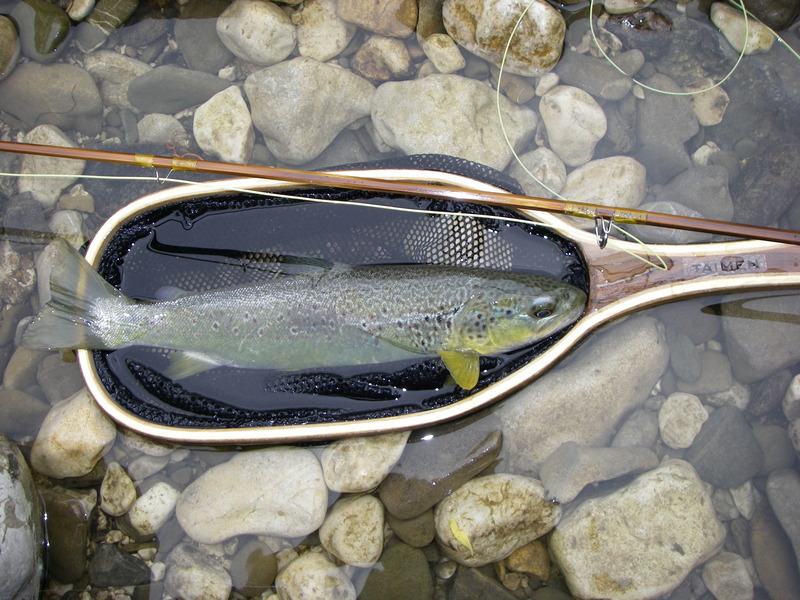 The best time for fishing is in may and june when a large number of insects swarms (especially big caddisflies) and in september and october when fishes became more voracious because of the winter approaching. 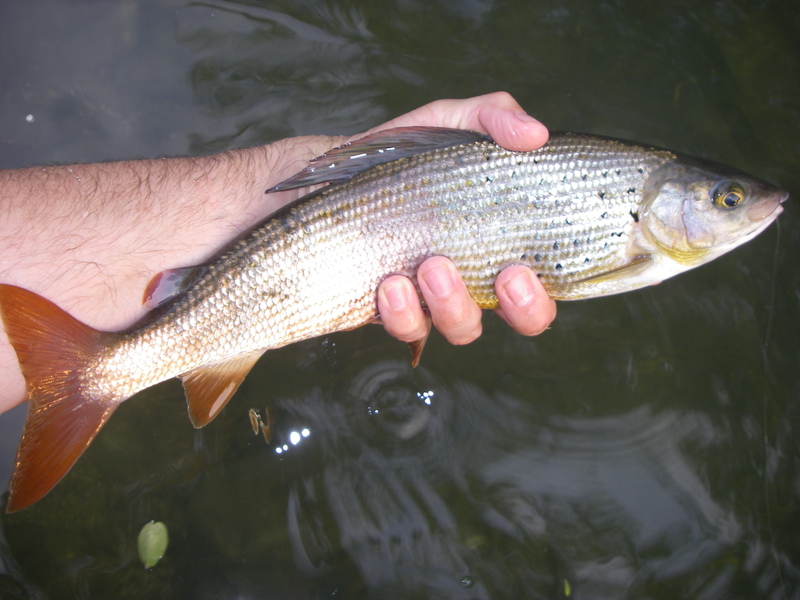 Especially graylings became very active on the surface and you can catch them easier than in other months. For now is all. Down i put some pictures to make an idea of the river and its residents. 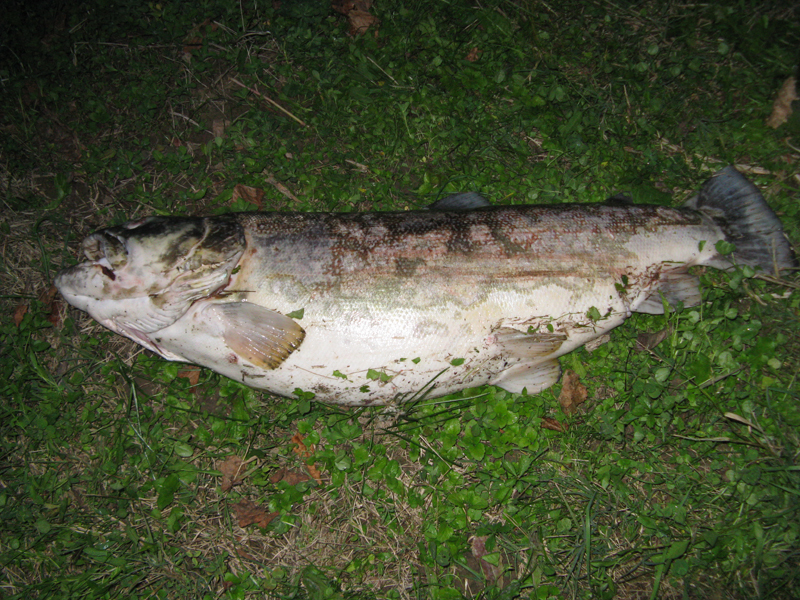 This marble trout was found dead last summer (15,60 kilograms).